This article is based on technical data from Kaspersky Lab experts and their analysis of the Korablin and Morcut malicious programs. A number of conclusions have been drawn by Kaspersky Lab experts based on open source data references in the conclusion of this publication. Any questions regarding the contents of this article can be posted on Kaspersky Lab’s securelist.com website, or you can contact Kaspersky Lab’s PR Service directly via Kaspersky.com. While most countries have laws prohibiting the creation and proliferation of malicious programs, there are currently three programs that, the developers assure us, have been designed to collect data about user operations on computers and subsequently transmit that data to law enforcement agencies. The first widely known program of this kind is the Trojan Bundestrojaner, which has been used by German law enforcement to track suspects on the Internet. Another known spyware program is FinSpy, which was designed by Gamma International to give law enforcement agencies in different countries the ability to track suspects’ computers and mobile devices. 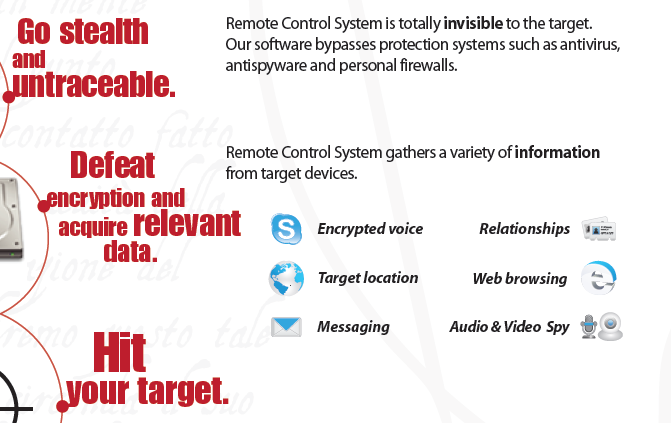 Remote Control System (RCS) is the third spyware program, and the one that will be addressed in detail in this article. This program was developed by the Italian company HackingTeam and is intended for sale to government authorities in different countries. HackingTeam first caught our attention back in 2011, when WikiLeaks released documents describing the functions of the spyware programs the company offers to government agencies in 2008. In early 2012, Kaspersky Lab experts detected malicious programs running on Windows that were suspiciously similar to the programs described on WikiLeaks, and with Remote Control System, the description of which was published on the company’s official website www.hackingteam.it. However, at the time, we had no way of knowing about the connections between the threats that were detected (Kaspersky Lab detects them as Korablin) and the HackingTeam spyware program. That all changed in July 2012, when many antivirus companies received an email with an example of malicious code for Mac OS X with the same functions. Our email address newvirus@kasperksy.com received this email on July 24, 2012 at 05:51:24 MSK. The subject line was empty, and there was no text — just an attachment called AdobeFlashPlayer.zip. The attachment had a self-signed JAR-file containing a program written for Mac OS X. Soon, nearly all antivirus companies had added detection of this new malware, and each company named it differently (Crizis, DaVinci, Boychi, etc. — Kaspersky Lab named it ‘Morcut’). Nearly all antivirus companies suspected that the program was developed by HackingTeam, which sells specialized tracking software to law enforcement agencies in a number of countries. The fact that the functions are similar is just one of three circumstantial pieces of evidence linking HackingTeam to the files that were analyzed. Let’s take a look at the other two. 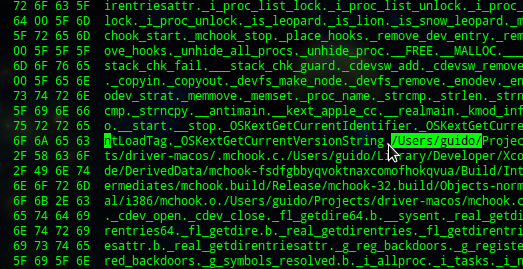 The data overhead in the Mac file contained the names of files and modules that the authors used when writing the program code. These names were also seen several times with “RCS“, which coincides with the abbreviation of the Remote Control System name (this abbreviation is used by HackingTeam in its promotional materials and its own description of the program on their website). Finally, an exploit that downloads the threat from the hackingteam.it website was detected (this exploit was uploaded to Virustotal.com on July 04, 2012). 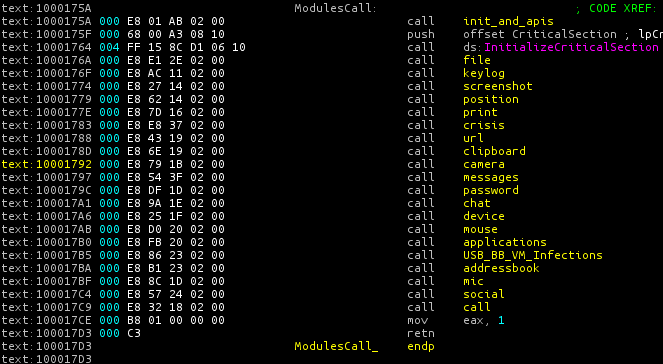 The functions of the malicious program matched up with the functions of HackingTeam’s product. The names used in the data overhead of the threats and on HackingTeam’s website also matched up. The threat was downloaded from the HackingTeam website. Based on the above, one can safely presume that the spyware programs that fell into the hands of the investigating IT security professionals were more than likely created by HackingTeam. For the sake of convenience, we will refer to both of these programs (both for Windows and for Mac OS X) as RCS. And there’s a curious coincidence: one user whose linkedin.com profile states that he is a former developer for HackingTeam also goes by the name Guido. Today, Kaspersky Lab’s malware collection includes over 100 RCS modifications, with almost identical functionality. As discussed above, the description of these samples matches that of the official Remote Control System program description on HackingTeam’s official website, and the program description drafted by HackingTeam and published on WikiLeaks (pdf). RCS files for Windows are written in C++. To prevent the program from drawing the attention of antivirus products, its creators did almost nothing to protect it against analysis — a trait typical of programs used in targeted attacks. 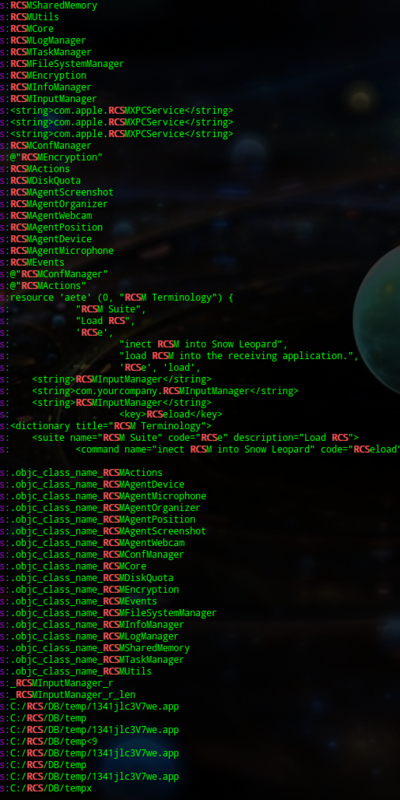 The full set of RCS functions can be seen at the start of executable files when the threat initializes. Based on the functions in the program, it follows that RCS is a self-replicating malicious program designed to steal personal data and transmit it to a remote server. In order to perform its spyware functions, the program copies data to access user accounts and intercept messages from browsers (Firefox, Internet Explorer, Chrome, Opera), email clients (Outlook, Windows Mail, Thunderbird), and instant messaging programs (Yahoo, MS messengers, Google Talk, Skype, Paltalk, Thrillian). It also intercepts audio and video streams. Exploiting the CVE-2010-2568 vulnerability (used by Stuxnet for self-replication via LNK files). Infection of virtual VMware machines by copying itself into the autorun folder on the virtual drive. Infection of mobile BlackBerry and Windows CE devices. Use of an AES encryption algorithm to work with files and control servers. Just to be perfectly clear, RCS does not have any mechanism that allows it to accurately copy a file system’s contents or copy the contents from RAM. That means that executing random code in the system (updates and driver installations) will not make it definitively clear whether or not any illegal content on a suspect’s computer was downloaded there by the suspect himself, or by the RCS operator. I do not believe that this program can be used to collect information which could be used as evidence of committing unlawful actions. Basically, the program has arather strange function: it does what it shouldn’t do, and it doesn’t do what a program that collects data for forensic investigations should do. On an infected computer, RCS looks like several files with random names, and one active, dynamic registry that requires additional malicious programs before it can be installed. During our analysis, we detected droppers and downloaders being used to install RCS. After the publication on WikiLeaks, I guessed that considering the abilities of law enforcement bodies in different countries, RCS is probably spread by replacing requested executable files at the Internet provider level. However, a self-signed JAR file received by email in July 2012 showed that social engineering methods can also be used to spread RCS. An attack then proceeds like this: a user receives an email with a link to a file, or the file itself, as an attachment. The contents of the email are designed to entice the recipient to open the file (or click on the link). Kaspersky Lab was also able to establish that the droppers and downloaders that install RCS can be sent by email. These malicious files have different names and may be .rar, .zip, or .exe files. Furthermore, after analyzing the files that download RCS, we detected a previously unknown vulnerability that was assigned the name CVE-2013-0633.This vulnerability is used in a classic targeted attack tactic: a user receives an email with a Word file as an attachment; the file contains a 0-day exploit — in this case, for Flash (this exploit has been addressed by Adobe here, for example). Remarkably, four of the vulnerabilities on that list remained unknown for several months; during that time, the exploits were able to use those vulnerabilities, unhindered, on any computer. Today, there are several more vulnerabilities which we presume can be used to install RCS. However, the servers using the exploits to stealthily install executable files do not operate continuously, which makes it difficult to prove that these exploits are installing RCS. Morgan Marquis-Boire, from that same Citizen Lab article, suggested that exploits developed by the French company Vupen are being used to spread HackingTeam products. This company specializes in searching out vulnerabilities in popular software programs and sells ready-made exploits to various governments. However, it is still not clear whether Vupen sells its exploits alongside HackingTeam programs, or if the clients of both companies use these two programs together to track suspects. After analyzing the RCS functions, we identified a number of official criteria which help to determine whether a file belongs to HackingTeam, and to RCS in particular. The use of debugging mechanisms during program execution. When the program is running, it can check its own PID and send messages about its performance. The use of encrypted AES POST requests and logging by the Mozilla/4.0 (compatible; MSIE 5.01; Windows NT 5.0) user agent. 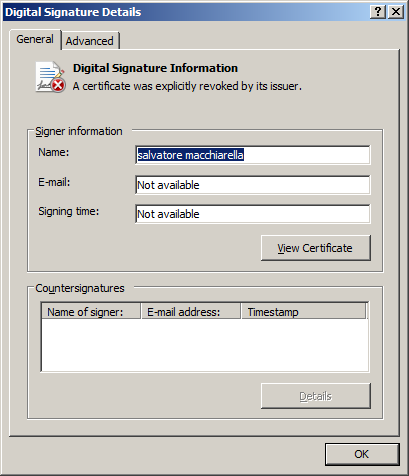 The use of executable file signatures to get around security systems installed on user computers. 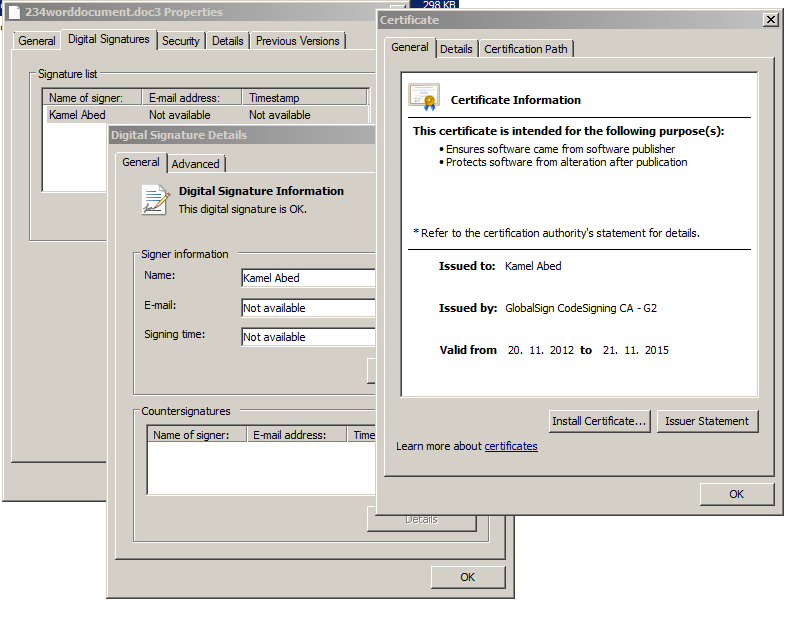 The RCS component signatures in examples 1 and 2 were issued to private individuals. 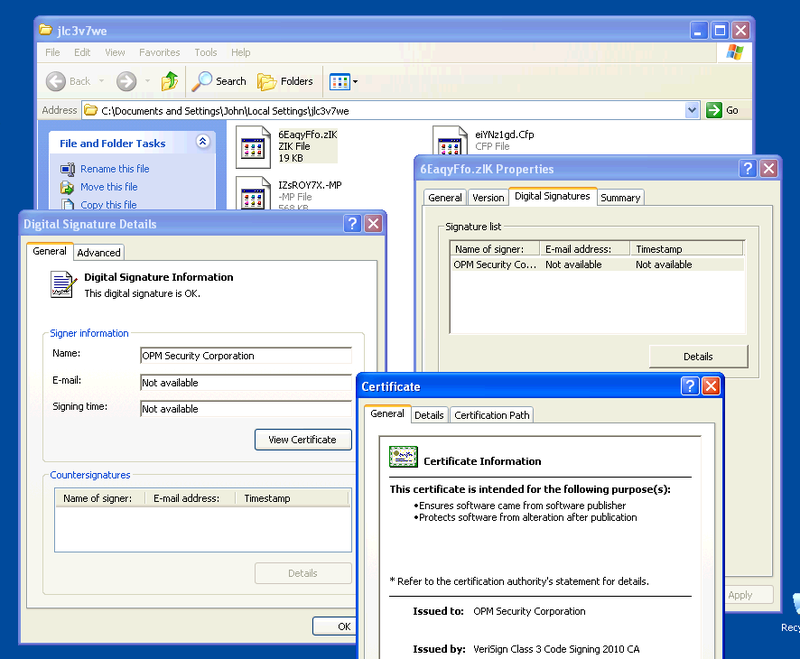 In the last example, unlike the first two, the certificate was issued to an organization. The name of that organization is OPM Security Corporation. OPM Security is a company registered in Panama. 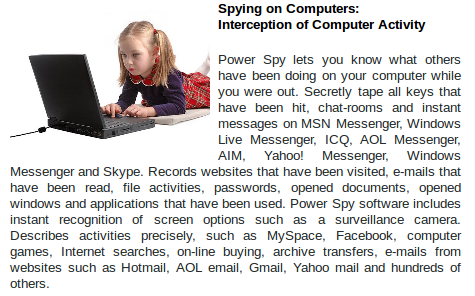 Its website (www.opmsecurity.com) states that among other things, it offers a software product called Power Spy. The description of Power Spy is more or less the same as HackingTeam’s description of RCS. 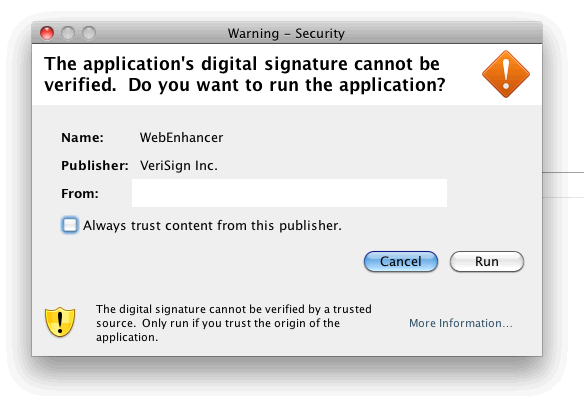 This gives one grounds to presume that OPM Security is possibly selling either an older or pirated version of RCS. Furthermore, it will sell it to any interested party for just EUR 200, even though the average price at HackingTeam, according to some sources, is an average of EUR 600 000. It’s worth noting that OPM Security is part of OPM Corporation, which offers offshore company registration and dual citizenship passport services among other things. 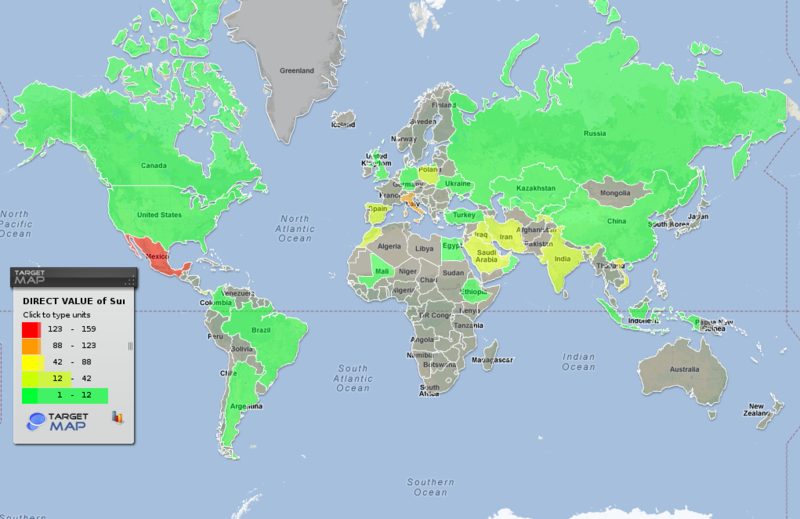 The map below was put together using data from KSN about the number of attempts made to install RCS components on computers around the world in 2012. Since RCS has a multi-modular structure, data on the detection of the following malicious programs were included (using Kaspersky Lab’s classification names). If a user is subjected to an attack several times, the detection data is aggregated. Remember, we only have data on attempts to infect computers running Kaspersky Lab products, and only those where users agreed to participate in KSN. Considering the specifics and the highly targeted nature of RCS attacks, their number can’t be very large. It is possible to assess the motives of the attackers by comparing the number of infection attempts made against a single computer in each country. Tajikistan and India are both leaders for this indicator; incidentally, in both of these countries, just one computer was attacked, and RCS installation attempts were persistent, at 21 and 20 attempts, respectively. RCS is very prevalent in Mexico, where each of the 11 targeted computers were attacked an average of 14.5 times. Users in Italy were attacked the most, with a total of 19 computers targeted an average of 6.5 times each. Furthermore, just under 10 incidents were logged at workstations in government agencies, industrial companies, legal firms, and media outlets. In recent years, the world has seen some major changes that computer users have only just found out about: software programs used as cyberweapons and for cyberespionage. We have also seen the emergence of privately owned companies that, according to the information on their official websites, develop and offer software to law enforcement agencies to facilitate the collection of data from user computers. Countries that do not have the requisite technical capabilities are thus able to purchase software with similar functions from private companies. In spite of the fact that most countries have laws prohibiting the creation and distribution of malicious programs, this spyware is offered with almost no attempt to conceal its functions. So far, there aren’t very many of these companies and almost no competition in this particular market. These conditions are highly attractive to new players and have planted the seeds for a technologies race among them. At the same time, according to Kaspersky Lab’s data, these companies are not held accountable for how their tracking software is used, be it in international espionage or traditional cybercrime used by small-time scammers to make money. The situation is further complicated by the possibility of these types of programs hitting the shelves on the open market, where fictitious companies, for example, could resell them however they wish.